I worked on my time management as a research assistant prior to graduate school and still struggled to balance classes and significant hours in the lab. 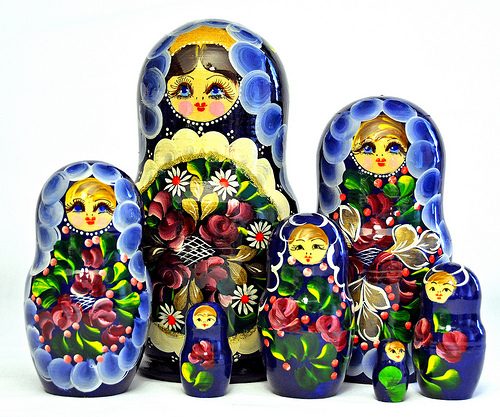 I’ve come to refer to my time management method for lab work as the “Russian nesting doll approach.” These basic principles can be widely applied in a variety of research situations. Time EVERYTHING: I can’t stress how much knowing exactly how long something will take will help you in planning experiments. Every lab has some sort of kitchen timer around that can be used to help you figure out how long it takes to finish certain tasks. If not, it’s $3.95 on Amazon and worth every penny. Time management is especially crucial during the early stages of your rotations because you will be balancing rotation research and experiments with classes and can’t afford to miss class due to experiments running over. Once you get a handle on how long things take you can start planning ahead to be more effective with your time, which will help you maintain your sanity during the busy months of rotations and classwork that lie ahead. Find the gaps: Now that you know how long things take to finish, start looking inside the tasks themselves. When working on new protocols always keep an eye out for unstructured blocks of time in the middle. These time gaps in the protocol (like running a Western blot or incubating samples) give you chunks of time that can be very useful. Learn where these gaps are (all the way down to 5 minutes blocks) so that you can utilize productively later. Fill the gaps: Remember that kitchen timer from earlier? By now you’ll know how long tasks take and where there are gaps in your protocols. Here is where the Russian nesting doll model comes in. Take those smaller tasks and start filling them into the empty space in your other protocols. Fillers don’t have to be bench work either. If you know you have other projects—like reading journal articles for class—make it a plan to fit those items into your schedule. Reading, writing, literature review, all of these items can be stuffed into discrete blocks of time. These tasks don’t have to be packed in to the minute; in fact I highly recommend cutting yourself extra time in the beginning or else things may get out of control, ruining multiple experiments at once. Start slow as you learn your system. Over time you will find that you can get a lot done in a relatively short amount of time if you maintain focus. Be sure not to over-stuff your day! It can be tempting to add more and more on as you get familiar with your new research projects, but over-tasking can go very, very wrong if you’re not careful. If you’re over-tasked, you run the risk of leaving things out or forgetting certain key time points that might come back to haunt you (you mean I ran my samples off the blot entirely!?!). Don’t get drunk on the sweet nectar of productivity too early! Pace yourself and you’ll begin to see how much work you really can get done during a normal day. It might even surprise you! I also want to take a moment recommend a recent Gradhacker article by Chen Guttman on keeping your lab organized so that you can do more science. These tips fit in nicely with the nesting-doll technique and make it a much more manageable approach. Does anyone else out there utilize this approach in the lab? How do you stay productive in the lab? Please share your experience in the comments below!